SOLO-PLUS ™ STRAIGHT LINE, FULLY AUTO SEAMING/ ARRISSING. Following the entry-level SOLO™, SOLO-PLUS now meets demand for zero-labour ! 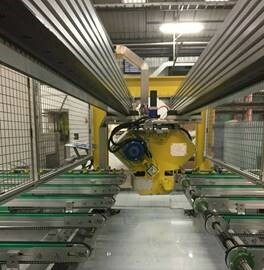 Fully automatic seaming up to any size, no operators needed, relatively low cost and smallest footprint. This you gotta see !